In this post you will learn what IDX is and how to creatively leverage it in your real estate website. IDX, simply put, is a raw data feed of listings entered into the MLS by the listing agent. IDX is the acronym for Internet Data Exchange and this listing information is regulated by your board of REALTORS® and then sourced to a 3rd party IDX provider, such as Dakno Marketing IDX. Each board provides a different set of data. Some may allow the public display of foreclosures or sold listings. Some may not. 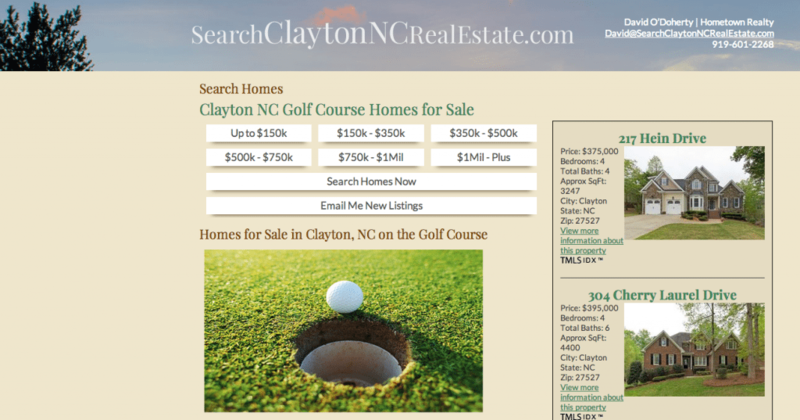 Some provide a way to search properties with pools or homes for sale in golf course communities, while other boards do not provide these search options at all. Why Do I Need An IDX Solution On My Website? While there has been considerable debate recently whether agent websites should compete with national search sites like Zillow, Trulia and Realtor.com and offer an IDX search, the IDX/MLS Search is probably the most important resource you can provide to your site visitors. We have ample data to prove buyers seek out these property search tools on agent websites when visiting real estate websites. Buyers spend considerable time searching the MLS for listings for sale. Even though many REALTORS® send property links directly to their clients, the average home buyer will still end up searching for homes on their own. Marketing Tip: Ensure that you are providing easy to use search tools for buyers so they don’t end up searching for homes on your competitor’s website. Of course, home buyers aren’t the only ones using the MLS. Sellers often look for active listings similar to their own. This gives them an idea of their home’s value by comparing their home’s features to others on the market. Sellers still make up a smaller percentage of MLS searchers, but are equally important, nonetheless. Marketing Tip: Ensure your search tools are visible for sellers, too. 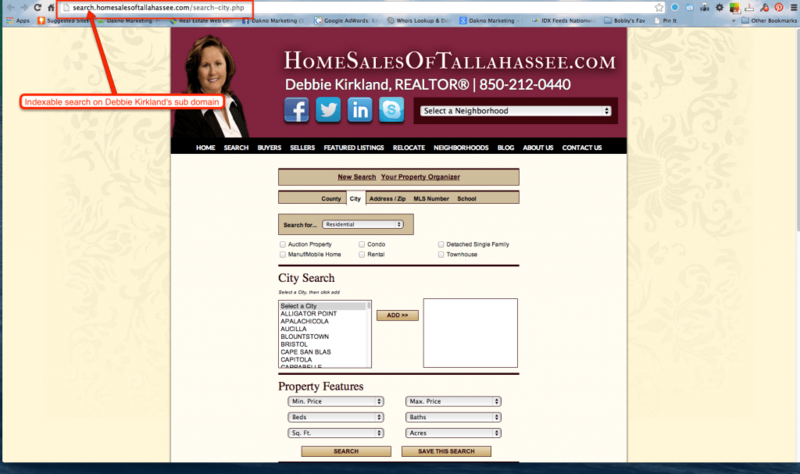 When adding an IDX solution to your site, try to select one that is indexable. Indexable means that the search tool is search engine-friendly, so Google and other search engines can crawl your listings and associate them with your website. This is one more layer in the foundation of your site’s SEO (search engine optimization). Some MLS’ will provide a free frameable IDX link, which the member can “iframe” into their website. While free is a pretty great price, remember the old saying, “you get what you pay for?” While the frameable IDX does provide a way for home seekers to find homes for sale through the MLS, it will not provide any SEO benefit because the Search Engines can’t “crawl” any of the information included in the iframe. The SEO benefits you are forfeiting far outweighs the savings of a free frameable solution. Marketing Tip: Employ an SEO-friendly, indexable IDX solution on your site to help build credibility with Google. Include an eye-catching quick search on the homepage of your website. Be sure that it falls above the fold (this is the area clearly visible on your screen and can be seen by the site visitor without them having to scroll down the page). Try to include a solid background directly behind the quick search. Use a bold color that draws the eye to the contents within the quick search. 2.) Include a link to your advanced search within the same frame as your quick search. Many home seekers have very specific criteria. Make the advanced search page obvious so they can narrow down their choices with specific details about what they’re looking for. 3.) Provide “quick links” for your site visitor. Save your site visitors time by starting the search for them. 4.) Add RSS feeds of IDX search links to compliment your blog post. a few specific neighborhoods, or condo buildings in a particular price range? Provide links or buttons to these for easy, one-click searching. Some REALTORS® offer school district-based search results and others provide quick links using cities with price points. Provide information, pictures or even video on your quick links pages. In doing this, you are also demonstrating that your website is an expert resource for your particular market. Marketing Tip: Provide easy-to-use search tools up front for your site visitor. This will keep them on your site longer. How Will My IDX Solution Generate Leads? With all the useful information you are providing, you are now building trust with the site visitor. So, how will you gain leads from simply providing a free search tool? You’ll need to ensure that your IDX solution includes a way for your searcher to save their favorite properties. To do this, they must provide their contact information and create an account. You now have a lead that you can follow up with. You’ll also want to ensure that your IDX provider gives you access to view your lead’s saved properties so you can have an idea of what they are looking for before you personally reach out to them. 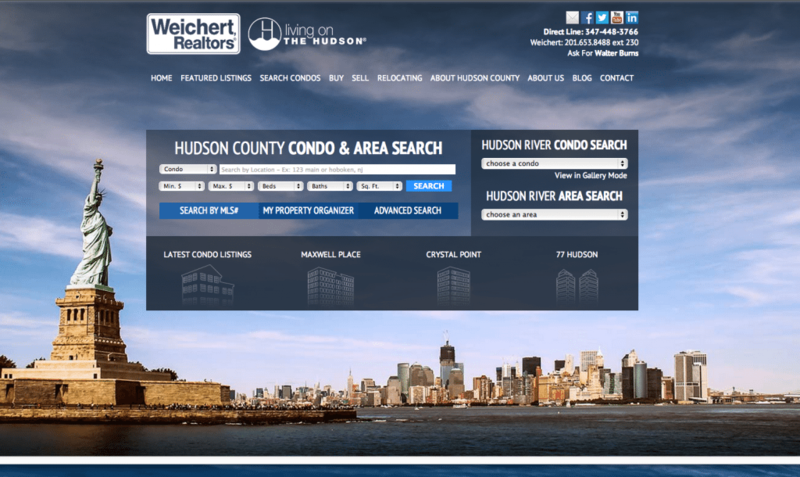 Additionally, make sure that the searcher can request more information about a specific property or even request a showing with just one click. Marketing Tip: Include a way for site visitors to save their favorite properties to generate leads. Be sure to personally follow up quickly with each lead your site receives. Follow these guidelines to ensure you are getting the most benefit out of your IDX search tool, one of your greatest online assets. Leave a comment with a link to your IDX solution if you’re unsure whether you are getting the most out of your IDX.